Not too long ago I ran into a problem at work: I wanted to have a meeting with someone that I couldn’t meet with in person. Of course, given today’s business environment, there are a number of options to meet with people remotely. Many of these options are rather cumbersome and costly. For example, here at Blue Link we use GoToMeeting for our remote meetings. It’s a great piece of software that certainly serves this purpose but it is really not as simple to get started with as it should be. You need to install software on your computer before you are up and running and when you want to have a meeting right then you don’t want to be bothered with installations. That is when I decided to try Google+ Hangouts. Needless to say I was very impressed with Hangouts. There is a plugin to be installed, if I remember correctly, but it does not take long to get started. Of course, the major problem with Hangouts is that you need Google+, but I’m not sure. You can access Hangouts from within Gmail but it is unclear if you have to have a Google+ account first. Hangouts are really intuitive and surprisingly reliable with great audio and video connections. A neat feature is how the main video section changes to show the person speaking at the moment which encourages people to take turns and give the speaker the floor. Hangouts are great for businesses, not just for fun, as you can share your screen and easily show off documents to the group as well. 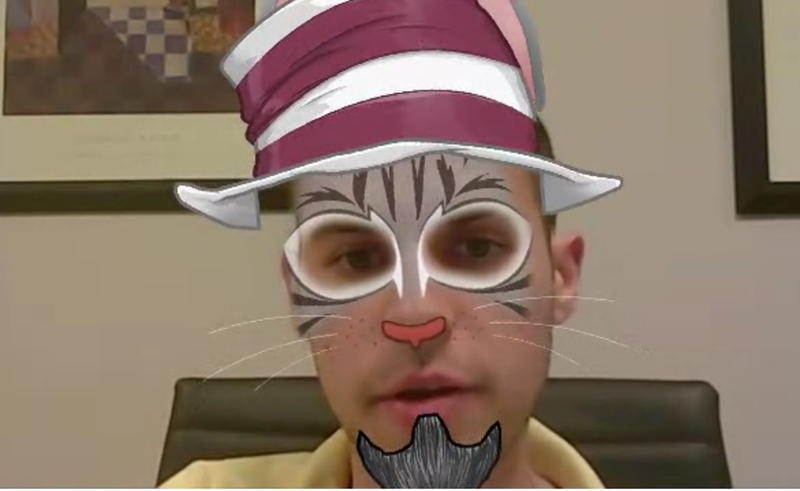 Google didn’t take Hangouts too seriously though – they included some hilarious features, like the ability to add funny video masks that follow your face. These masks can help lighten the mood and keep things upbeat during what might otherwise be another boring business meeting. If you haven’t tried Hangouts yet, give it a try and let me know what you think of it below.